The Owensboro extension of the University of Louisville School of Nursing is celebrating its 10 year anniversary. 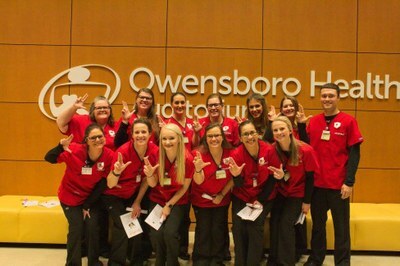 2019 marks the 10th year the Owensboro Extension program, a partnership with Owensboro Health, has been transforming the next generation of nurses and increasing the number of BSN-educated nurses in western Kentucky. Achievements have included graduates earning perfect pass rates on the NCLEX-RN during the last two consecutive years and expanding the program to admit 70 students per year. We honor alumni, community supporters, faculty and staff of the program.